Is that burned flesh and charred skull I smell, or am I just happy to see some brand new Ghost Rider: Spirit of Vengeance photos? 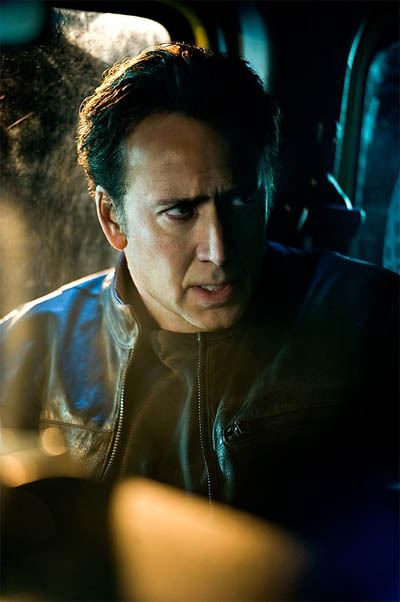 One imagines it’s the latter, as the first official stills from the Nicolas Cage starring “Ghost Rider” sequel have hit the web thanks to Empire! Right off the bat, you can see that this version of Johnny Blaze is decidedly different from the character Cage portrayed in the first film. 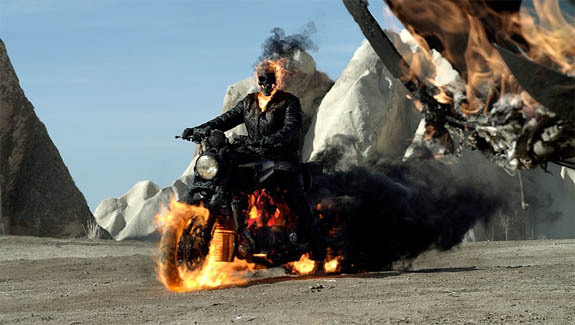 For one, as directing duo Brian Taylor and Mark Neveldine already told us, this Rider’s skeletal visage is of the blackened, gasoline soaked variety, as opposed to the flashier flaming skull seen in the Mark Steven Johnston directed movie—though, in fairness, both versions feature heads set ablaze; it’s hard to make them look too different from one another. 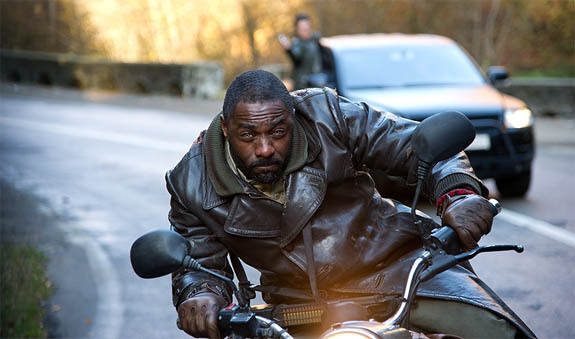 Beyond getting a sense for Johnny Blaze’s new design (both in skull mode and outside of it, as you can see Cage’s return to normal hair in the photo below), the new batch of “Ghost Rider” stills also offer our very first look at Idris Elba, who appears in the movie as “an alcoholic warrior monk.” If he’s been drinking, maybe somebody oughta get Elba off that motorcycle, eh? It certainly looks like somebody is trying to get him off that bike; perhaps this is our first look at Johnny Whitworth as Blackout, though the figure is too obscured to say definitively.